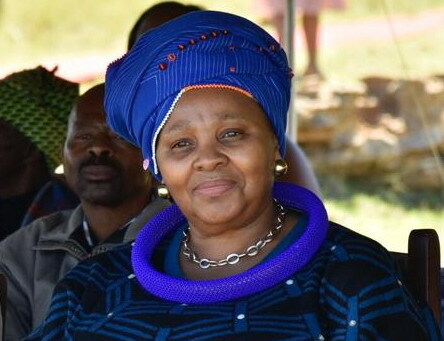 Defence and military veterans minister Nosiviwe Mapisa-Nqakula has officially launched the Broad Based Black Economic Empowerment (BBBEE) Defence Sector Charter after it was gazetted at the end of last year. The minister was joined by Secretary for Defence Dr Sam Gulube, South African National Defence Force (SANDF) Chief of staff Lieutenant General Vusi Masondo and Simphiwe Hamilton, Executive Director of AMD (SA Aerospace, Maritime and Defence Industries Association) at a function held at the Council for Scientific and Industrial Research in Pretoria on Friday. Gulube said that the major challenges facing the South African defence industry are limited economic growth, limited markets and the reduction of the defence budget. The National Defence Industry Council (NDIC) was therefore established to address some of these challenges and its objectives are to ensure the industry’s products and services are aligned with SANDF requirements; assist the industry grow, and ensure transformation within the industry so it is reflective of the demographics of South Africa. Transformation involves ownership, management and skills development. This includes enterprise and supplier development, promoting access to previously disadvantaged groups, and localisation. The minister highlighted the role of the South African defence industry, saying it is a critical contributor to the economy, an integral part of the defence force’s capabilities and ultimately a tool of foreign policy. “The defence business is inherently political and needs focussed political support.” She said this includes sourcing equipment locally. “I’m challenging the Secretary for Defence to continue discussing this with the security cluster. I don’t think there’s optimal support of the defence industry,” she said, adding that the Department will improve the arms control system to ease exports. Gulube said the National Conventional Arms Control Committee (NCACC) is making efforts to speed up decisions on approving defence imports and exports and is meeting more regularly. The Department is also paying the majority (85%) of its invoices within 30 days, compared to 50% at one point. Another thing the Department is looking into is speeding up defence acquisitions and seeing how delays caused by the Public Finance Management Act (PFMA) can be alleviated. The Department of Defence said the purpose of launching the BBBEE Defence Sector Charter is to transform and grow the defence industry through ownership, management and skills development programmes with emphasis on military veterans and SMMEs. Transformation must include access to economic opportunities and resources for previously excluded groups, the promotion of local business and entrepreneurship, the development of skills for a knowledge-based economy and the development of intellectual property. The Defence Sector Charter makes provision for companies to procure at least 60% of products from local companies. Private sector entities in the defence industry must sub-contract no less than 30% of any contract exceeding R30 million to companies owned by black designated groups. Another highlight is that the black ownership target has been increased to 30%, which is higher than the 25% benchmark of generic BEE codes. According to the code, stakeholders have committed to achieving a minimum black ownership target of 25% in the first year after promulgation of the code, 30% in the second year and 35% in the third year. They also committed to achieving a minimum of 10% economic interest held by black women in the first year and 15% in the second and third years. Foreign companies are obligated to place 75% of their contractual obligations under the defence industrial participation programme with BBBEE-compliant suppliers. Mapisa-Nqakula has been tasked with appointing a defence sector charter council to monitor implementation of the code and conduct regular reviews.